ASPB provides inquiry-based learning materials for educators and avenues for thinking about plant science to the general public through a variety of events. See the Main ASPB Calendar [hyperlink that to the new calendar on the homepage] for the dates and locations of all this year’s events. All events are managed (onsite) by an Education Committee member and/or ASPB staff member. As ‘local talent’ you are asked to share your expertise & enthusiasm plus any of the resources in the booth that will facilitate the visitor’s needs or cultivate new interests. 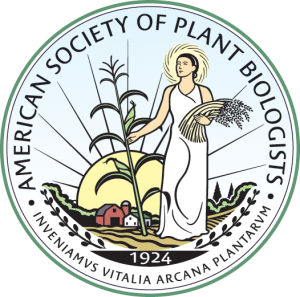 All resources align with ASPB’s 12 principles of plant biology, the core concepts in plant biology (for higher education), or other evidence-based standards. As a volunteer, you will get complete information about booth content, an outreach orientation, free admission to the Exhibit Hall, and (sometimes) free conference registration. Volunteering can support your Broader Impact goals. And of course your service benefits the Society as well as the field of plant biology. The opportunity to network with like-minded scientists equally motivated about outreach is an additional benefit. As a member of Plantae, you also can earn Grow Points for your service. Are you ready to dig in and reach out? To Volunteer: Check the main ASPB calendar for the dates and location of the event that interests you. If it’s near you (or you wish to travel to it at your expense), please contact Tyrone Spady (tspady@aspb.org) to learn more and get registered.